The Glossary of Austroads Terms defines a footpath as a "public way reserved for the movement of pedestrians and of manually propelled vehicles." The Australian Road Rules define a footpath as "an area open to the public that is designated for, or has as one of its main uses, use by pedestrians." The useful life of a footpath will depend on a number of factors including soil conditions, the material it is made from, its thickness, and the proximity of trees. A life of 40-50 years is typical for concrete footpaths in some areas. 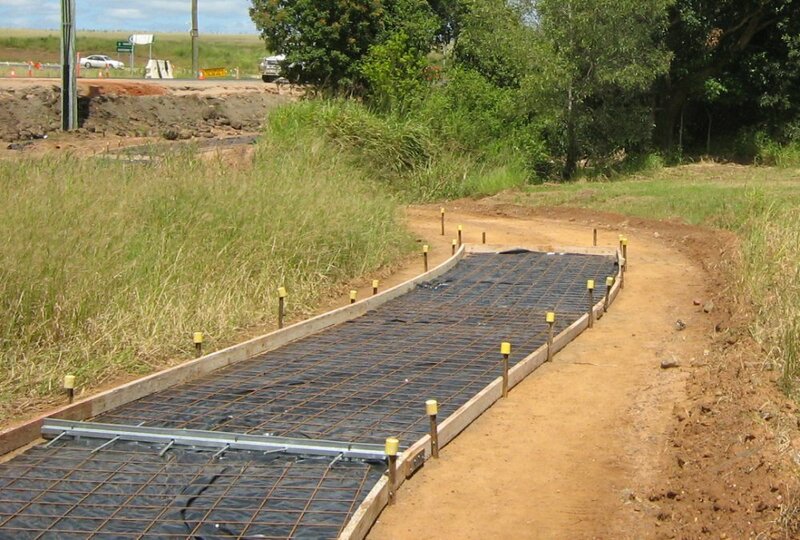 The majority of footpaths are typically constructed from either; asphalt, concrete, pavers or gravel. In the case of concrete footpaths additives may be added to colour the footpath or even make it glow in the dark. NAMS.AU Practice Notes - the page includes a link to the preamble of Practice Note 1: Footpaths & Cycleways. Infrastructure Design / Network Planning (Austroads).